Take one serving approx. 30 minutes before bed time. The product is suitable for use before the bedtime. 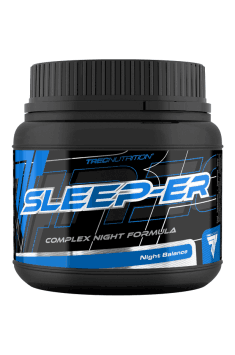 Ideally suited to people who train in the evening and later have trouble falling asleep. It will be a good choice also for people who can not calm down at the bedtime, suffer from rushing thoughts and feel constant tension. The supplement should not be used for a long time. Due to the presence of DAA, supplementation should be carried out ad hoc, or in 12-week cycles with a month break.